Today is the day after the first freeze of the season, and it smells kind of funny around here. I am pretty sure it is not me; although one can never know for certain, I did just wash my winter sweaters when I pulled them down from the top shelf of the closet the other day for the first time since last spring. But I step onto the back patio, and I am struck by the odor. It is the smell of decay, and I am struck by how quickly it has set in. It was just last night that the killing frost happened. When I went to bed a little after 10 p.m., which is early for me, the electronic thermometer in the living room said it was still 35 degrees outside. The freeze probably did not come for several hours after that, so a good guess is that about 15 hours ago, everything was still alive, and there was no reason other than the sterotypically unreliable predictions of the weather forecasters to expect that it would actually get cold enough to kill. But now, the leaves on the lantana have turned almost black, and their flowers, which were vividly red and orange and yellow just yesterday, have followed suit. The blooms that shone on the hibiscus out by the mailbox have faded from their yellow and orange and pink to brown, too, and their leaves, at least the ones on the outside of the plant, are drooping, ready to fall. The massive elephant ears have graciously passed out, falling to the ground behind the azaleas and the heather and the mondo grass, where no one will have to watch as the water in their cells is released, making them into a soggy pile of mush. 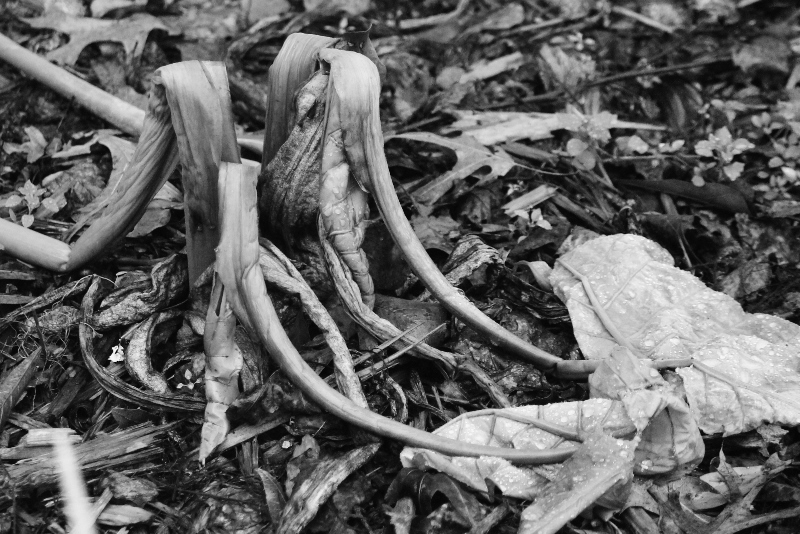 But the bolder cannas, which just yesterday burned like torches with their bright orange and gold flowers on top of the tall towers of their stems, are now just as tall and bold in their decay, the brown hue of plant death standing in front of the bedroom windows, calling all to witness the injustice and shock of their sudden demise. All of that death has come together to generate that smell. There is a complexity in the odor: it is clearly sour, and if I discovered it in my refrigerator, it would be a warning to me that whatever it emanates from would probably make my stomach turn inside out. But there is a sweetness to it, too, and when that odor mixes with the smell of smoke coming from a neighbor’s fireplace, burning against the chill in the air to make a house feel the warmth a home is supposed to have, that odor of decay evokes autumn. I look again at the plants which are now, suddenly, generating that odor. They are dead now, and death always brings the feelings of grief: of sadness at the loss of things that were once so beautiful, of regret at the missed opportunities to appreciate and tend better to those things which are now gone, of fear because death is so sudden and so complete, of anger at the injustice of vulnerability, of a simple but overwhelming exhaustion that comes from having spent an exorbitant energy on a deep love. It is best not to rush those feelings that come with grief. It is best to notice them when they appear, to acknowledge their presence, maybe even to greet them politely, and to endure them and even appreciate them while they are taking up our mental and emotional space. They won’t go away, no matter how hard we try to show them the door, so we do the best we can to receive them when they show up, even though they did not have the good manners to call ahead and let us know they were coming. But even as I look at the remains of the leaves and flowers in my garden, and even as I smell death and decay in the air, I notice and I know that there is something more going on. The hibiscus will be left with nothing but the eerie form of sticks poking out of the ground, but in a few months, new leaf buds will form on those sticks, and they will bloom again next year. The lantana will have to be cut back to the ground, but around the base, new branches will grow in the spring. The cannas and the elephant ears have complex webs of bulbs and tubers at their base, just out of sight under the leaves and mulch, and those will absorb more and more water and nutrients through the coming season, so that new towers of stems and leaves will shoot out again someday. And I even have hope that the gardenia which I bought last spring but never got into the ground, which did so well in its pot in that spot out by the bird bath, which I meant just last weekend to put into the ground to protect it from the cold air, will survive and thrive again. Death is not the end of the story; there is still the miracle of resurrection to come; I am assured of things I hope for, and I am convinced of things that I have not seen. Earlier today, I heard the story of a man whose mother died while he was still a nursing infant. Not many years later, his father died, too, and he and his sister were taken into the homes of relatives. When he was 18, he set out on his own. In the course of his life, he traveled the world, built a career advising others in the investment of their personal finances, raised a family of happy and successful children and grandchildren, cared for his wife as she got sick, and finally died at 86 years old, having decided to give up dialysis so he could leave this world with the dignity of the ability to make choices still intact. That story gave me hope: hope in the ability of people to survive times of deathly grief, hope in the power of family and community to make each of us feel loved and safe and strong, hope that the sorrow of the present will be redeemed by the joy of the future, hope in the abundance and eternity of life, hope even in the smell of decay that comes on the day after the first freeze. Because that odor is not the end of the story, but only a sign of new things to come. This week, I have been thinking about the extraordinary power of cold air. When I lived up north, the cold air wasn’t so extraordinary because it was a part of everyday life for months at a time. Most years, the air would first hit a freezing temperature sometime between mid-October and mid-November. After that, there were only a few more weeks to clean the piles of leaves off of the driveway, to run the mulching mower over the lawn, to drain the hoses and put them safely in the back of the garage, to do whatever cleanup needed to be done in the flower beds, to empty the flower pots or find a place for them indoors, and to put away all of the other tools for working outside save the snow shovel. Then, I would hole up in the house, and frankly, I am not sure what happened in the yard after that. When the snow came, I would shovel. When branches fell from the trees, I would drag them to anywhere convenient so they would be out of the way. And I would wait; I would do no other tasks in the garden until the freezing temperatures had started to subside, in the daytime at least, and the sun began to burn hot enough to thaw the ground. Because the ground would freeze solid. I remember the first year we owned our little h0use in Boston. I had decided to put in a perennial bed on the slope near the edge of the back yard. It was near the end of March, and I was motivated by the new perennials which appeared in the garden departments at the big box stores. They were premature but tempting, so I started to dig in the soil to make room for them. After a time, I found that there were several hard spots. Assuming them to be large rocks, I started to dig in front of them and behind them. I hauled out the tall steel rod left in the tool shed by the previous owner before he died to try to pry them out. Sometimes, I would discover that they were, in fact, large rocks. But other times, after I loosened them, I would maneuver my hands around them to try to coax them out of the earth only to find that they were not stones at all. They were chunks of soil which were still frozen solid after months of exposure to the cold air above them. Here in the coastal south, by the grace of God, the soil never freezes. But for a few days each year, for a few hours at a time, the air temperature drops below freezing. And I think it is because it is so rare that I notice now the power of the cold air. If it only dips briefly down to thirty degrees or so, not much happens; the leaves of some of the more tender cannas, hibiscus, lantana, or sage will shrivel and turn brown at the tips. But if it gets below that, and particularly if it stays that cold for a few hours, the effect is far more dramatic. Large leaves that had faced the sun all season long, strong enough to hold pools of water before channeling them toward thirsty roots, will become limp. Thick stems which held those leaves high enough that I had to look up to them will collapse. Flowers which had just emerged, especially vivid in their yellows and oranges and fuchsias and lavenders as if they were desperate to announce to the world what they can do to attract attention, will turn to a brown mush. And all of that breadth and strength and beauty falls apart because of the power of cold air. And even more remarkable is the power of the cold air is not in a scythe which cuts everything down; its power works microscopically. The liquid inside the cells of the plants freezes, and as it does so, it expands. It rips apart the walls of the cells. I imagine that the tears are tiny at first, like something a small patch or a bit of hand stitching would fix right away. But then, the tears lengthen, and more appear; the gaps grow wider, and eventually, the membranes just cannot handle any more pressure. They shred, so that when the air turns warm again, the liquid thaws and there is nothing to hold it together any more. It oozes and flows, and what was once a complex, sturdy structure has failed. The whole mess is left vulnerable to bacteria and microbes, which consume what is left of those cells which had once held everything together so perfectly. When I was just out of college, I worked in a community development organization in an inner city neighborhood in Portland, Oregon. There were a number of neglected buildings in the neighborhood where I worked. Those buildings had once been beautiful and functional; they had been people’s homes and businesses, they had been theaters and restaurants and apartments and markets. Every once in a while, I would get to walk through one of them. Often, they had signs of their former beauty and utility: lovely carved wood banisters and moldings, dishes still on the shelves and upholstery still on the seats. But they were collapsing, with holes in the roofs, gashes in the plaster walls, broken floorboards, and dust everywhere. As I wandered through my yard this afternoon, I recognized my feelings; they reminded me of the way I felt when I toured those neglected old buildings. Browning flower petals are scattered on my sidewalk like the tattered remains of an old carpet. The leaves of my giant elephant ears evoke collapsed ceiling panels, stained brown with water damage long before they finally caved in. The heap of whatever remains there are of my cemetery lily might as well be a pile of trash someone had long ago swept together and then left behind for someone else to clean up. And the crisp, thin leaves of my variegated cannas I planted in front of the house stand there like exposed lathe boards whose plaster covering had long since crumbled. The whole landscape is desolate, and anything that still stands high really needs to be cut down. And it is all because of the power of cold air. In the world of humans and animals, that power can have tragic consequences which speak of cruelty in injustice; the same thing that happens to the cells of plants happens to the cells of our bodies when they are exposed to the cold air. But in my garden, where new shoots will rise and new leaves will unfurl with a magnificent power of their own when the spring comes, the power of cold air simply fascinates me. I really don’t know what to do with the ornamental maple tree in my front yard. It is in the lawn near the curb, about equal distance from our driveway and the property line, and it was put there by the previous owner of the house. The one time I met him, he proudly explained to me that he was really a country boy at heart. One of his chief goals in designing his landscape was to ensure that, from the house, he could not see any of the neighbors’ roofs. In a neighborhood where each house is about twelve to fifteen feet from the one next door, that is a quite a challenge. He was supported in this goal by his father-in-law, or perhaps it was his stepfather, who owned a nursery. He could get all the trees he wanted for free or cheap. Within two weeks of moving in, we had nine trees removed from the property. There were the four swamp cypress, which shove their knobby knees up from their roots, spreading in search of water when they are not planted in a swamp. Those knees, several friends told us, were strong enough that they could crack a driveway and even disturb a slab foundation. Since all four were within a few feet of our driveway or foundation, they had to go. There was the enormous holly tree planted too close to the corner of the house and the two Bradford pears behind it, all of which hung over the house in a way that was not healthy for either the trees or the structure. And there were the two ornamental maples in the back yard, which were so close to a cedar that they were being choked in both their roots and crowns. They were never going to thrive there, the arborist told us; besides the obvious crowding, they were a non-native species which really needed a colder climate to thrive. So away they went. But even after the tree people did their work, there was still a small forest of oak, pine, palm, birch, cedar, and magnolia, along with at least four specimens of that same species of ornamental maple, crammed onto our average suburban lot. Most of those trees are in the back yard near the fence, a safe distance from the house. Only four trees pepper our front lawn: the old river birch, a palm on the other side of the driveway, a healthy adolescent white oak, and the poor, struggling ornamental maple. I ought to simply take it down, but the buzz among my neighbors is that, since it is planted between the water meter and the curb, the city would object to its removal. I do not view that as an insurmountable problem, since everyone agrees that, if it should die, I would have no choice but to remove it. I certainly have a few ideas about how to hasten its demise, but I also have a hard time vandalizing a poor tree, no matter how out-of-place it is, to the point of murder. Each spring, I watch all of the trees in the front yard proclaim their message of life after death. The river birch starts the process of announcing the new season, with its leaves coming out in March and April, about the same time as the blossoms burst with their bright green pollen as they fall on my cars, driveway, and front walk. Then, the white oak leaves unfurl, changing over a period of a couple of weeks from light pink buds to the dark green, outstretched fingers of the full-grown leaves. By May, though, the maple usually hasn’t done much; its plain branches remain bare. And I start to hope: maybe this year, a hard frost finally did it in. Maybe its roots, which are planted so shallow that I can see them worming their way through the topsoil at its base, have finally withered. Maybe a disease or fungus or some other fatal trauma has visited the maple, which has always seemed vulnerable to such things. But no. Each year, by late May, when the temperatures are really becoming unbearable for the northerners who live around here, a pitiful few seed pods start to appear and ripen, followed a week or two later by some small, pointed leaves. The maple lives again, and my hope that I could cut it down after its unfortunate but inevitable death is once again dashed. It lingers through the summer, not really doing anything interesting, never growing or spreading as much as the other trees on our street. I have to dodge its spindly lower branches as I mow the lawn, and every once in a while, I have to trim a branch here and there which has been snapped by some wind storm or other force. This past summer, my son conjured up a game in the front yard which involved taking a larger stick and banging it against the trunk of the ornamental maple, pretending to fight it or cut it down, I am not sure which, until the stick broke. I might have encouraged that game with more enthusiasm than some of the other ones he played this year, since it played out one of my own fantasies. But then, fall comes. Each year, the river birch is the first to litter the lawn in a shower of bright yellow in late September or early October. The oak follows soon after Halloween as its leaves turn to a dull yet rich orange that quickly and seamlessly becomes a dry brown. The maple holds out, waiting for a chill to fill the air and tell it to go through its own process of death and preparation for rebirth. Since we are so temperate around here, it seems like it will never get cold en0ugh to trigger the poor thing into its necessary rest. And then, usually just after Thanksgiving, the air turns nippy for a day or two. And the maple puts on a display that is almost overwhelming in its vibrancy. That display happened this week. One morning, my son walked out the front door, and I think I actually heard surprise take his breath away. The sun was just coming up over the enormous live oaks at the end of the street, so the air was bright with that golden hue coveted by painters and photographers. And with the leaves on the other trees already faded, the maple radiated in front of us. He declared that it looked almost like it was on fire, and he was right. It was glowing. It was explosive. It was brilliant, in the way that I imagine the appearance of God’s Holy Spirit was brilliant as it danced like tongues of fire over the heads of the disciples fifty days after Jesus’ resurrection. It was breathtaking. And it was confusing. What do I do with a tree like that? Most of the time it is in the way. It is out of place. It is uninteresting. It doesn’t fit in the bigger picture of my landscape or in the cycles of this climate. And yet, for a few days each year, it shocks me again with the power of its beauty. And I can’t just cut it down. I lived in Boston for eight years. As I see the unceasing chatter about the Boston Marathon bombings overwhelm all the channels people use to broadcast information and feelings these days, my mind is naturally going back there. I never attended the Boston Marathon while I lived there. God knows I never ran it, although I know people who did. I remember the first year I was serving as the Pastor of Hyde Park Presbyterian Church in Boston. On the day of the Boston Marathon that year, I went to visit one of the members of our congregation who had come home to stay with her niece while she recovered from a broken hip. I think she was about 96 years old then. The whole time I was in their small apartment in a triple-decker in Jamaica Plain, the Boston Marathon was playing on the television in the background. I was there to remind an isolated old woman that she was not alone in the world, and the Boston Marathon was somehow part of that work. One of the reflections I have read in the past couple of days is this blog post by a fellow Presbyterian minister, Marcia Mount Shoop. She reflects on the bad dream of her eight-year-old daughter the night after the bombing. What sticks in my mind is the way she describes her daughter’s fears and questions. The girl was not asking the “why” questions: Why did a child have to die? Why would anyone want to do this to us? Maybe those are adult questions the little girl wouldn’t think to ask. Maybe they are questions that we do not really want to know the answer to, or maybe those questions are too cynical for some of us. Or maybe it is just too soon for any of us to ask questions like that. Instead, Rev. Shoop’s daughter was asking “how” questions: how could I protect the people who are supposed to protect me? How do I feel safe in a world where things like this happen? How do I keep hoping that everything will be o.k. in my life? I don’t think those are questions which only children ask at a time like this. In many ways, I think those questions are what fuels the comfort which we feel when we see that now-ubiquitous quote from Mister Rogers. “Look for the helpers,” Rev. Rogers is quoted as saying. “There are always helpers.” And those helpers are central to satisfying the thirst we all have in these days to resolve the how questions. As I think about the how questions, those questions about protection and safety and hope, I think about the garden I planted at our house in Boston. It was not long after we bought the house; maybe it was 2004 or 2005. I had spent all winter making plans: finding the sunniest spot on our sloping back yard, crafting the shape out of the hillside, thinking about how to prepare the soil, deciding what perennials to plant so there would be something in bloom all season, and designing the placement so the low growing plants would be in the front and the taller ones in the back up against the neighbors’ stone retaining wall. It was March, and I was impatient. That impatience is normal for gardeners in Boston. Winter seems to last forever; the last frost date isn’t until about Mother’s Day, and the daffodils don’t even come into full bloom most years until about the time of the Marathon. But in March, the snow doesn’t cover the ground as constantly and the temperatures start to warm a bit during the day, so the shovels and rakes and garden gloves started to fill my obsessive mind. I decided I didn’t have to wait until spring to start to turn over the soil in the new garden and add manure and other amendments which would make the garden flourish. So one sunny day off, I found my spade in the back of the garage, and out I went. I started at the bottom of the hill. As I worked my way up, I would hit solid spots here and there. Sometimes, these were large rocks. But sometimes they were clods of dirt which hadn’t thawed yet under their blanket of pine needles from the trees back there. In fact, that first pass at loosening the soil only got me a few inches deep; below that, the ground was still frozen. It would take weeks before the whole patch thawed enough for me to properly turn it over. But eventually I got the manure worked in, and I started to plant some things. By the next year, it was beautiful. In April, the perennials would start to emerge from the frozen ground. The creeping phlox was the first to bloom, usually by the end of that month, with carpets of light blues and pinks. The English Daisies would come up from seeds the previous year’s plants had scattered and add to the charm with their little pink, fuchsia, and white balls. 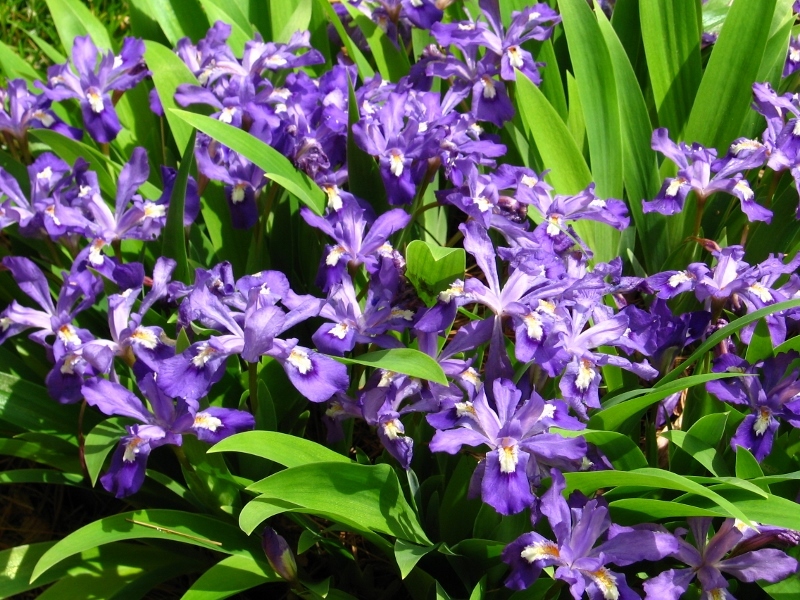 May would bring my favorites: the Dutch Iris and especially the Crested Iris I picked up from a native plant nursery in the suburbs. Big drifts of those unique blue, white, and yellow fleur de lis moved from the very bottom of the hillside as it started to increase in elevation. Later in the season there were astilbe, foxgloves, and the columbines which I planted to remind me of the years I lived in Colorado when I was a child. The Shasta Daisies bloomed in the summer. The delphinium never did very well, but that wasn’t a big surprise; you always have something that resists your efforts, don’t you? I am impatient in the face of the Boston Marathon bombs. I cannot yet resolve my need for assurance about protection and safety and hope. In my impatience, I want to go dig around. I know there is work to be done in my waiting: to name the bad dreams of children as well as adults, to listen to the unceasing chatter when I can, and to step away from it all when it starts to overwhelm me. I have to speak the questions that form, the whys as well as the hows, even if I can’t yet find any resolution, much less any answers, for those questions. But I know this about Boston, and about the world we live in: despite the long, cold season, despite the clods of frozen dirt, despite the layer of still-icy soil, beauty will emerge. It will grow, and it will flourish. It will start by poking up a few shoots from the moldy leaves of before, and then a few, small flowers will emerge. Later, even more beauty will come. It will not happen when I want it to happen. Some things that were there before won’t come back this year, and it will have a few holes where things don’t emerge quite right. That is frustrating, but it’s the way it all happens. But beauty will come again. That is the how of hope. As the Teacher of Ecclesiastes says, “To everything there is a season, and a time for every purpose under heaven.” I pray for the people of Boston and for all of us who are impatient for hope. I don’t rake leaves. Sometime between Halloween and Christmas each year, everyone else in my neighborhood hauls out their lawn rake, or, God help us all, their leaf blowers; carefully makes their piles of fallen leaves; then stuffs them in those expensive brown paper sacks which you buy at the big box stores to temporarily contain whatever yard waste you want the city to haul away. Those bags seem useless to me. I understand why the city needs homeowners to use them: plastic bags cannot go through the chippers which process the yard waste into mulch. I am glad our city uses yard waste the way they do. But I haven’t purchased those paper bags for a couple of years now because the only yard waste I leave for the city to use is big enough that it can simply be stacked by the curb. Everything else just stays where it is, because I don’t rake leaves. Instead, I mulch them. Each year, usually sometime after everyone else has taken the time and effort to interrupt the cycles of nature with the lawn rake or those God-awful leaf blowers, I go after my own leaves. I pick up a few which have landed on the driveway and mix them in with the vegetable scraps in my compost bin. This year, I pulled a few out from under the camellia bushes in front of the porch; I have had a miserable time with white flies on those camellias lately, and I read somewhere that cleaning up the ground underneath can help keep the pests away. But I did not bag those leaves from under the camellias; instead, I carelessly pushed them across the sidewalk and onto the lawn. Then, I hauled out the mower and ran it back and forth over the lawn, chopping the leaves and whatever small sticks are mixed up in them to little bits. The result is not as pretty as my neighbors’ lawns, if by “pretty” you mean even and uniform and green. But there is little about my lawn that is even, uniform, or consistently green. In some places, the leaves had fallen thicker than others, so naturally, there are some places where the brown, chopped-up remains of leaves are still partially covering the grass. In other places, the grass and weeds which make up my lawn have not fared well with the change of seasons, so there are just empty patches of dirt with some leaf pieces strewn about. Those are the places I hope the leaves will congregate; I assume that the grass is weak in those areas because the dirt is poor and most needy of what the leaves can do for it. I see no reason to rake leaves. In a wild meadow, the leaves would fall from the trees and remain wherever they land. They would turn brown, they would get wet in the rain and dry in the sun, and they would be trampled, nibbled, rearranged into nests, and otherwise manipulated by the local wildlife. But eventually, they would break down, rot, and become a part of the soil. And what a valuable part of the soil they would be! They would return to the dirt the nutrients used by the trees, and those nutrients would make a fertile place for grasses, wildflowers, and even more trees to sprout. They would trickle into the clay and break it apart, or, more likely on our coastal plain, they would trickle into the sand and hold it together. They would encourage little critters to linger in that meadow a while, so that their droppings and other remains could infuse the ground with microbes, bringing otherwise-dead dirt to life in a way that is essential to support other life. My lawn is no meadow, but it lives on the same principles. Leaves are precious, and they belong in the dirt, not sitting on the curb in a paper bag from the big box store. In fact, I have been tempted more than once to help myself to the bags my neighbors leave out for the city to pick up, just to get more leaves for my own lawn; my sense of suburban propriety and the potential humiliation to my family are all that has prevented me from engaging in this kind of radical redistribution of organic wealth. As I was running the lawn mower back and forth across my leaf-cluttered lawn a couple of weeks ago, I got to thinking about the leaves. They started the year early; around here, the first leaves start poking out of their buds sometime in March. The leaves on our River Birch usually come out first, and that tree is tall enough that I cannot watch the process up-close. But when the leaves on our adolescent oak tree start unfolding, they are at eye level. They start by exposing only their pointed edges. Those edges are a soft, dusty pink color, and they are small and lacy and delicate. Soon, though, the green comes out behind the edges, equally soft and dusty and light at first, then turning to the verdant emerald one expects of oak leaves. Usually the oak finishes unfurling its entire canopy before the small, non-native maple that the previous homeowner stuck in the ground near the curb starts to swell in the buds. That tree has never done well; besides the fact that, as they say, it ain’t from around here, I think it was planted too high in the ground with too many roots exposed. Each year, when the leaves do not come out before mid-May, we wonder if that tree has finally died, only to be reminded that it is simply slow to develop. I suppose there is nothing wrong with that. As I was lost in my nostalgic reminiscences of the early life of the leaves which lay that day in the path of my lawn mower, I got to thinking about faith. Most of us can remember something about when our faith was like those spring leaves. For me, that time was when I was in high school and college. I remember a particular late-night hike up a ridge in the woods of Northern California with some other faithful young people. At the top, we could see about every star God ever put in the sky. We sat up there for some time talking about big matters of faith: where we came from, where we are heading, what we are supposed to do in the mean time, why the stars were spread out before us like that, and just how big is the God who put them there. When I was young, those ideas were new and fresh; they emerged from their buds with pointed edges in colors and textures that were not quite what I expected, but which were more profoundly beautiful than any ideas I had run across before. Those ideas made my faith come alive and sustained it for several years. Most people have times in their lives when their faith is like those spring leaves. The problem is that many people expect their faith to remain that way. They want it to always be new and exciting and wondrous and beautiful. But faith doesn’t remain in springtime forever. The ideas we encounter early grow and expand and change, but eventually, they reach their greatest size and shape and color. And the feelings that come with those ideas change over time, too: we get used to them, we take them for granted, we move on to other concerns that require our best energy and thought. We have new experiences which make us realize that those ideas and feelings of our youth just don’t captivate us with their beauty any more. In those times, our faith is not necessarily unimportant; it may sustain us for a while, maybe even for a long season, like the leaves sustain the tree through the long, hot summer. But there is no longer anything remarkable about it; we may realize at some point that our faith has become simply the way we breathe. And then things change again. Sometimes, when the days start to get shorter, our faith may start to turn a little different color, or we may find spots on it, or it might dry out at the edges. The base of the stem that holds it to us might weaken a little bit. Eventually, storms come; a strong, biting, nasty wind might shake us to the roots, or a light breeze might sweep by on just the right kind of day. But we notice that our faith just isn’t in the same place anymore. It might have fallen to the ground, a shriveled, dried-out, lifeless shell which only sort of holds the shape of its once-sustaining form. Whatever happened, we notice that its color and texture and beauty and vigor are all gone. We have a choice to make when our faith gets to that point. We can just rake it up and stuff it in a bag and stick it by the curb as something useless and lifeless. That may seem like the only choice if we believe that good faith, real faith, strong faith, God-given faith is always supposed to be like those vital, beautiful, unfolding spring leaves. But I regularly look at my faith and see that it no longer has the vitality it had on top of that ridge in Northern California years ago, and when I notice that it is dry and lifeless, I try to make another choice. I try to see that dried-up shell of my springtime faith as simply a part of the world working the way God made it to work. And I leave that dried-up faith where it is for a while. When I have the energy, I sometimes even chop it up into smaller pieces so that it is more easily comprehended and absorbed and made useful by the microbes in the dirt around it. With some patience and with some effort, I know I will watch the remains of my former faith become something new which makes the place where I am more fertile. That former faith will feed all manner of life around me in different and perhaps surprising ways. Eventually, I will witness as it becomes no longer a shell of dried-up death, but a part of life again, with its own new delicacy and color, its own newly-surprising process of unfolding, its own new beauty and vigor that may or may not look just like it looked before. Faith has cycles, just like those leaves in my front yard have cycles. Sometimes it excites us, sometimes it sustains us, sometimes it even seems to shrivel up and fall when the wind comes up. Therefore, what sense is there in raking up our faith, stuffing it in lifeless bags, and leaving at the curb? Why would you throw away faith because it no longer looks like it did way back in the spring? I don’t rake the leaves in my yard; instead, I let them feed new life. What Do You Do with a Life like Alstroemeria’s? I noticed the Alstroemeria poking up among the Stokes’ Aster the other day, and a rush of wonder mixed with confusion as well as pity came over me. Most people know Alstroemeria, even if they don’t know much about flowers. It is ubiquitous in florists’ arrangements and on the tables in nicer suburban strip-mall restaurants, the kind where the management takes the care to put white linen tablecloths over their veneered press-board tables with metal pedestals. Its flowers’ open, trumpet-shaped throats have tongues and tonsils that are crimson or fuchsia or maroon or burning orange or yellow. Sometimes its outer lips are white or cream, and often, dark freckles line some of its petals. Potent stamens stick straight out the front. Usually there are four or five or more blooms on a stem. Alstroemeria’s beauty comes from the intensity and variety of its color as well as the delicate weight of its petals. Its ubiquity comes from its stamina; the flowers last a long time as a cut flower in a vase, and they can be more easily shipped than more fragile blooms. I first dared to grow Alstroemeria when I lived in Boston. It was a bit of a risk there, since the ground froze hard and long through the winter. But a new variety was advertised in a catalog which promised to be hardy to zone 5, which meant it would grow in that climate. The information I could find warned that Alstroemeria was not a fan of all-day, hot summer sun. I optimistically placed my order, and when it arrived, I carefully planted it next to my house on the northeast side to give it a little extra protection from the cold but allow it only morning sun in the heat of the summer. It did wonderfully; that variety had flowers with yellow petals, some punctuated with dark freckles, and split by red stamens. It obediently and prolifically bloomed in early July, just before we moved away from Boston later that month. Building on my initial success, when I moved to the coastal South, I was excited to try Alstroemeria again. I read somewhere that it is native to the Mediterranean coast, with sandy soil and mild temperatures. I saw it growing most prolifically in Mendoc ino, California, while we were on our honeymoon. It thrived there, blooming in huge spikes all summer long in front yards and large planters on sidewalks outside of businesses. I ordered more of Alstroemeria from a catalog, and soon I found out that, in fact, it likes the sandy soil, mild winters, and cool summers of coastal Northern California. The problem is, though, that while we have sandy soil and mild enough winters here in Savannah, our summers are far from cool. It gets hot and steamy here, and Alstroemeria is not happy with hot and steamy. Alstroemeria is determined, though. I have other plants which are persistent. My bearded iris, for instance, also does not like the heat and humidity of Savannah; its leaves spike from the ground, but it never gets around to blooming. Alstroemeria’s will is not only to live like that but to explode its amazing, delicate, bold beauty for the whole world, or at least whatever portion of it comes into our back yard, to see each year. It is not just persistent, it is fierce in its desire to bloom so gorgeously. But its best days last for just one season, and the rest of the year, Alstroemeria has a rough time of it. Almost before its long-lasting May blooms have faded, the air grows sultry, and its leaves start to droop. Then, they turn yellow and whither, and within a few weeks, the beautiful Alstroemeria is nothing but a scrawny, dried stick. 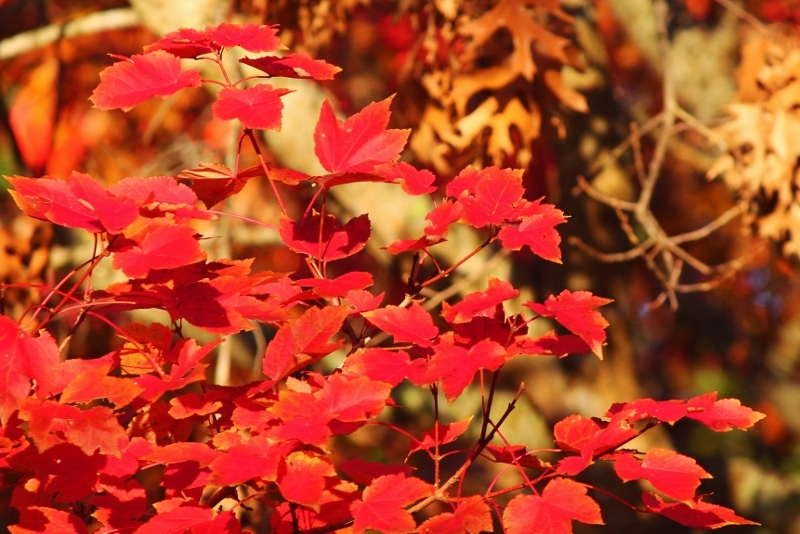 It disappears altogether during the southern summer and fall. Then, things just get awkward. It tries again to come up as the weather cools, just as it has in the last week or two. But it is December; Alstroemeria’s timing is off, and its hopeful climb out of the darkness of the pine straw where it has been hiding for six months will be slapped down any day now by the first winter freeze. It will sag and whither and dry out again, it will be taken back down to its roots, and then it will disappear under its blanket once again. I will hold onto my hope it will reemerge in two or three months, when it can finally be fully alive again, sending its spike all the way up, proudly offering its buds to the wind, and once again announcing the beauty of its life through those gorgeous, long-lasting, intensely and variously colored blooms. But one never knows; there is also a risk that it will never come out again this time. What do you do with something like my Alstroemeria? Do you just let it go on? Do you just sit back and watch it through its cycles, when it is so gloriously beautiful and cheerful for a brief season, only to be brought down so quickly into a leafless, dry spike sticking out of the dirt? Do you try to intervene; do you attempt to move it, perhaps, or water more heavily, or fertilize it somehow, or do something else to try to help it stop its cycles? Is there a way to encourage its hope to be more timely, so it can be sustained a little longer in its good days and not have to endure the prolonged disappointment and shame of its rough seasons? How do you make sense of the awkwardness of its attempts at living a full and vigorous life? What do you do with a friend like Alstroemeria, who shines so beautifully some of the time, but who withers and dries up the rest of the time? What do you do with a life like Alstroemeria’s, which sends you through short cycles of glory and beauty and fullness and vigor, then knocks you down into nothing but a dirty root ball in the dark dampness of the pine straw. What do you do if you never really know if you will be able to shoot forth again in all of your fierce will not just to live but to explode in that glorious beauty you know is lying potent inside of you? I keep Alstroemeria right where it is, which is the only place in my yard it has ever lived on beyond a season. It really doesn’t belong there; it is a single specimen of its kind amid the remarkably steady and reliable Stokes’ Aster, surrounded, but not in any symmetrical or otherwise pleasing way. But I don’t want to move it or disturb it for fear that it would no longer be there. Because, as much as I find its cycles awkward and confusing and pitiful and wonderful all at the same time, I admire its fierce will, and I appreciate its intense and delicate beauty when it is finally, fully, gloriously revealed. It is finally autumn where I live. Around here, autumn is a bit different than in other places. When we lived up north, we could count on the air to turn chilly around Labor Day. The leaves would turn yellow and red and brown and start falling soon after. The first frost would come, sometimes accompanied by a bit of sloppy wet snow, in mid-to-late-October, and the lawn mower would be tucked away after it finished its work of mulching the leaves by the time the turkeys had their worst fears realized. Around here, not only are things pushed back a bit by the sub-tropical climate, but there are even different signs to mark the change of season. I first know fall is coming when the grass stops growing; that means the nighttime temperature consistently drops below 70 degrees. The leaves fall gradually from the trees; the first ones come from the River Birch, which start cluttering the lawn in early October. The non-native maple trees planted by the previous owner of this piece of land do not turn to brilliant reds and warm, rusty oranges until about Thanksgiving time, and my mulching mower does not gobble up the last of the white oak leaves until just before Christmas. 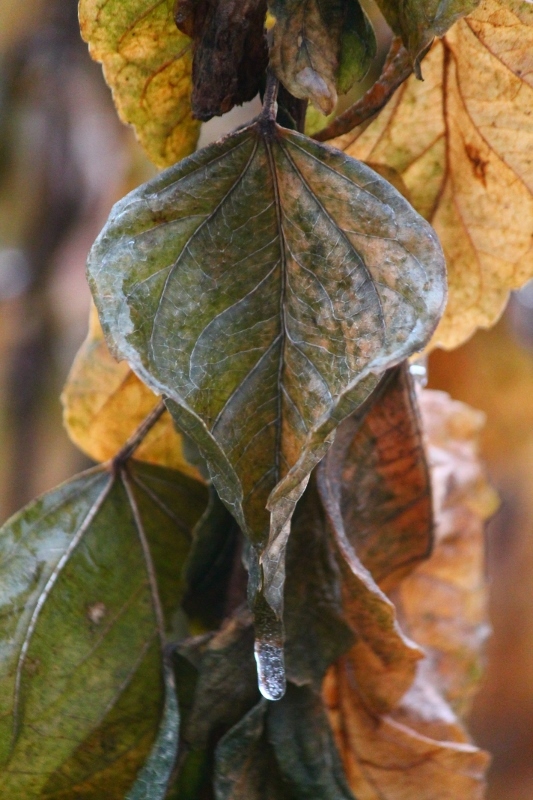 Although it is possible to have frost in Savannah as early as mid-October, we do not really expect it before November 15, and we sometimes get into December when the leaves on the annuals and perennials all turn to that greenish, brownish mush before they dry up and rot away. While the signs of autumn are delayed around here, the flowers seem to know even now that summer is over. The tropical perennials have not exactly stopped blooming, but the quality of their blooms seem to reflect their understanding that time is short. I have noticed a vibrancy in the yellow and fuchsia of my lantana in the back yard that wasn’t there in the heat of August. The yellows, oranges, and bloody reds of the hibiscus in the front near the mailbox have seemed more intense lately, too. 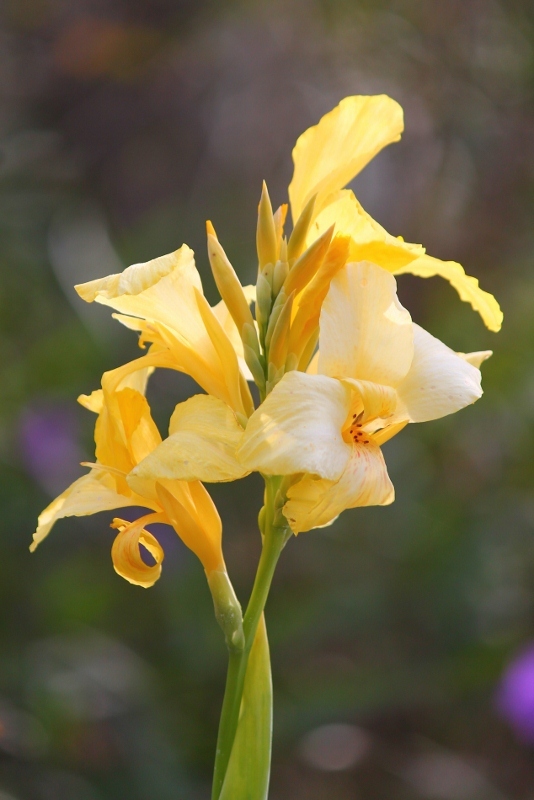 The yellow canna that is still blooming out there is different, though. Instead of greater intensity, it has taken on an almost translucent quality, so that the lowering sun seems to make its petals glow with their light, dusty color. Those petals are turning brown around their bottom edges even as new flowers spike out the tops. Everything seems to understand that this is their last chance to put on a show before they go down to the dust. I do not witness this season, and appreciate its beauty, without remembering an autumn wedding I attended a few years ago. The bride and groom were in their late 60s or early 70s. She had never been married; he was a widower. They had known each other as young people, and I think they had even been in love, but circumstances had changed, and they had gone their separate ways. They were both successful and self-sufficient; they had their homes paid off and their retirement savings stored safely away. After his wife died, they found each other again, and they also found a connection which they each, for their own reasons, probably thought they would never find again. And they purposely chose an autumn wedding. They did not rush to the altar wearing the costumes of a young bride and groom getting married in the springtime, with their voluptuous off-the-shoulder white dresses or their strong, square-shouldered tuxedos. Instead, they each walked in dressed with the dignity that was appropriate for the retired professionals they were: the bride wearing a flowing crepe jacket over her dress in a muted yet vibrant lavender, and the groom wearing a suit in similarly muted colors that fit his body well. They included music and readings of poetry in the ceremony which highlighted the realities of the season: a time when flowers still bloom and branches still grow and life is still filled with water and sap and blood moving forcefully through stems and veins, but also a time when everything living seems to be aware that the frost is coming, and with it, the flowers and leaves will close up and the liquids will slow down and finally come to a stop. We danced at the reception, and there was cake for them to feed each other, but it didn’t go late into the night, and the guests all understood when the bride had to sit down for a few minutes so her bad knee could rest. The wedding was a beautiful celebration of the season of the year and the season of those two peoples’ lives and love. They knew they will never have to rent a hall for their 50th wedding anniversary. But they also giggled and smiled like two people in love, beginning their marriage together the way any bride and groom ought to. Autumn is like that: life isn’t over yet, but neither does it seem to roll out all the way to the horizon like it does in the springtime. There is still plenty to celebrate, and plenty of energy left with which to celebrate, but there is also a wisdom and even a dignity which spring doesn’t have. Life in autumn is experienced life; it is life which has seen flowers bloom and flowers fade, and watched leaves in bud and leaves which have fallen too soon, and felt the ups and downs of infestations and droughts and strong winds and driving rains. Life in autumn is life which has endured. And life in autumn knows fully that life will end, so it might as well have its fun and live its passions and show its color in whatever way it chooses, expectations and conventions and other judgments be damned. I hear the wind of the late-season hurricane which is passing us by outside as I settle in with the first cup of hot tea I have brewed since last spring. I know that the wind means more leaves will blow off the River Birch, sending them across my yard, across the neighbors’ yard, down the street, and across the marsh. I hope I can find a way soon to photograph the flowers still blooming in a way that captures their vibrant colors and bold determination to show off in the crisp light of this season. And I am grateful to God for the way that autumn bears witness to the full beauty of life.